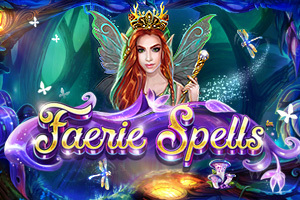 Overview: Faerie Spells is a 5 reel, 10 payline video slot game with wild symbols, a free spins feature, an instant prize feature, tiered jackpots, scatter pays, and a double up minigame. Discover the secrets of the undergrowth. A place where woodland spirits brew potions in the shadows and any toadstool can hide a hoard of treasure. A dual-feature symbol, the Queen not only uncovers the monetary awards beneath the mushrooms, but transports you to her hidden workshop where jackpot spell recipes await. 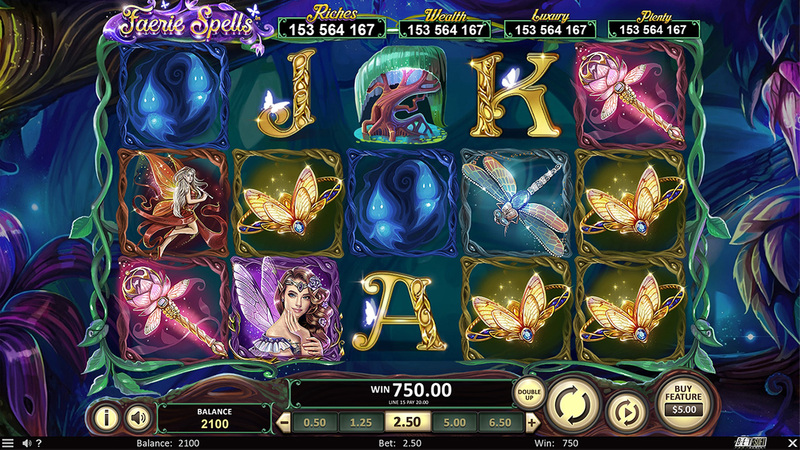 A dedicated reel set and symbol cascades challenge players to collect enough potion vials to fill one of four-tiered jackpot pools, with more free spins awarded for 4 or 5 Faerie Queen symbols. At any time, you can trigger the max number of Free Spins by using the innovative “Buy-In” Feature. Faerie Spells is one of the first games to share a jackpot prize pool with other games that also use the ‘Trail System,’ creating the potential for life-changing wins.